It’s no secret that @radiodeactive is my ‘Retweet to Win’ Twitter bot. She’s programmed to search Twitter, find ‘retweet to win’ competitions in the UK for me, and retweet them. Then I choose whether to follow the company who are doing the giveaway or not, and whether to ‘unretweet the tweet’ or leave it in place. Radiodeactive is a fine tuned winning machine, who I’m very proud of. It was all going kinda well, until a guy called Hunter Scott decided to fess up to his own ‘Retweet to Win’ bot, and how he’d won 1,000 prizes. Within a matter of days, there were a host of unsophisticated bots trawling Twitter retweeting the most random tweets that looked like they may be competitions. They were parsing competition entries incorrectly, and generally being an embarrassment to well-behaved bots everywhere. Ironically, I only found out about Hunter Scott because Radiodeactive started retweeting the tweets relating to his story. Initially there was only one RT from someone who wasn’t a friend: that was the retweet bot known as @MannysAlterEgo. Not particularly fine tuned, MannysAlterEgo seems to be retweeting an awful lot of ‘teen prizes’ – such as retweeting to win a solo DM with a boyband member, or voting in MTV’s Hottest. It has no deduplication in place, so it’s retweeting the same tweets from different users for the same competitions multiple times, and will probably end up in Twitter Jail before too long. Other bots soon got in on the action though. There was @themostunlucky who was a lot better designed than most, but retweeting a bunch of international comps. When asked, they claimed they were passing prizes on to pals in the USA: sounds good in theory, not so likely in practise, given the tax returns needed. Very basic bots like KalGuntuku, John Buch and NiallFlorence used a ‘manual text RT’ to retweet other compers competition entries. They stripped out hashtags, and generally looked really suspect. @jennym1979 seems like the best of the bunch so far, however, all the retweets are being posted as embedded tweets instead of actual retweets. Do I believe a RT to Win bot is cheating? Not at all- I spent as many hours building and fine-tuning @radiodeactive as I would have finding and retweeting competitions (probably more). It was just a more enjoyable project for me than spending hours on Twitter. Also, Radiodeactive does still have a lot of human intervention: I still enter twenty or more competitions a day manually. From me untweeting the competitions I’m not interested in, to adding more human communication with brands that are running a great competition, it’s not just pure automation. To all newcomers in the word of RT to win bots, I wish you well – just please, stop retweeting Radiodeactive! The most neglected room of all is our upstairs bathroom. Apart from putting in an electric shower at the turn of the century, nothing has been done. I became convinced the bathroom was haunted when I was a child, and I’ve never once used the toilet in there. 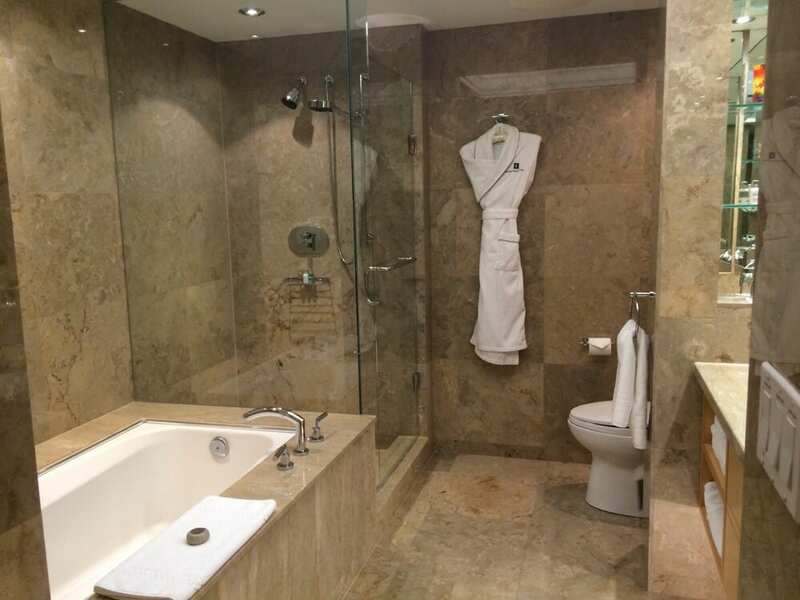 The bathroom is so hideous to me, I literally can’t stand to be in it for more than 5 minutes: if I fancy a bath, I wait until I’m staying in a hotel that has a bath. But, before you accuse me of being a bathroom-drama-queen (or smelly), let’s take a closer look at it. First – it’s green. My least favourite colour. It’s green, with other shades of green, in a vomit-inducing pattern. Second – it’s falling apart. The toilet cistern is broken and doesn’t work anymore. The taps are stiff, the tiles are crumbling and the panels are cracking. It’s really showing its age. Third – I’m still not entirely sure that it isn’t haunted. And, if it isn’t haunted, I’m convinced the 1970s electric heater on the wall was designed with the sole purpose to kill me, so I’ll be the one haunting it. Big Bathroom Shop and Tile Mountain‘s Dream Bathroom Competition got me dreaming. With over 5,000 high quality bathroom products available to buy at the Big Bathroom Shop, and an extensive range of wall and floor tiles at Tile Mountain, there was plenty to dream about. I had an idea of what I wanted. Call me dull and boring if you will, but after 36 years of living with these tiles, my soul was crying out for neutrals. I wanted to design a bathroom that reminded me of being in my favourite hotels, so I set about finding the combinations to achieve that vision. The downside to the bathroom at the Water Club is that there isn’t a tub. However, the design of the walk-in double-headed shower more than makes up for that! Recreating this bathroom with a single suite would be difficult, but Big Bathroom Shop have a range of options you can mix and match outside the packages they have on offer. The walnut units by Bauhaus reflect the refined ambience of the Water Club, whilst the stunning Milano walk-in shower enclosure is an ideal replication. Add on the Premier Thermostatic Bar Shower Valve & Kit with Telescopic Riser, and you could almost be back in Atlantic City. I’m extremely particular when it comes to a toilets – it has to have a flush handle and a wide bowl. The Old London Richmond Toilet Pan & Cistern meets my requirements in that area: I’d choose a seat and cover to match the rest of the decor. The Ultra Glide mirror and Milano Pendle Chrome Heated Towel Rail with Heated Shelf add that extra bit of luxury to the design. The tiles from Tile Mountain are neutral, but a flash of mosaic would give the bathroom more character. The bathroom at the Soho Metropolitan Hotel, Toronto, has everything – except, I’m not a huge fan of how they use the same colour tiles for absolutely everything (nor am I a huge fan of the colour of the tiles). There isn’t enough room in our bathroom for both a bath and a shower, but emulating this particular design is quite simple. To reproduce the Soho bathroom I’d pick the Phoenix Emma Furniture Bathroom Suite, with a Euro 750mm Basin unit. I’m a big fan of open shelving – if it’s in a cupboard, I forget that it’s there – so I’d add on a couple of Phoenix Cara 20cm Open Shelf Storage Units. A mix of Polished Cappuccino Marble Wall and Floor Tiles with Cappuccino Mosaic, along with a Pebble Border to break the monotony would complete the look, whilst the LED mirror would make the bathroom look more spacious. Bathroom at the Malmaison, Edinburgh. Photo courtesy of TripAdvisor. The Malmaison Edinburgh is pretty much my ideal bathroom. The fact that it’s smaller than the other two bathrooms brings it much more in line with what would be achievable in the space we have. The huge mirrored wall makes the bathroom seem big and bright, and the colour scheme is timeless. The Hudson Reed midnight bath, basin and cabinet with a thermostatic shower panel seem like ideal choices to start on recreating the look of this bathroom. The Twyford Clarice Toilet, Cistern and Black Ash Seat meets my aforementioned personal requirements for a toilet, and the Bauhaus Celeste Tower Storage Unit in Black Ash along with the Premier Relax Black Wood Bathroom Mirror would give the bathroom a contemporary feel. Chess black and white tiles could be combined creatively with Hammered Slate Effect Black Floor tiles and Sheera Multicolour Slate tiles to create the perfect monochrome bathroom. The Big Bathroom Shop and Tile Mountain competition required that I choose three suites and three tiles to create my ideal bathroom. Taking inspiration from above, I’d choose the Hudson Reed Bainbridge Bathroom Suite as my favourite, because it’s the closest match to the Malmaison bathroom. The Ultra Design Showerbath Suite would be my second pick: it’s stylish, compact and bright, closely followed by the Ultra Lux Bathroom Suite. If I were limited to three choices of tile, I’d choose the Chess Black and White, with Sheera Multicolour Slate tiles. Check out my Pinterest board below for an idea of how these would combine to create my ideal bathroom, and save me from my current bathroom blues (and greens)! Find your ideal bathroom at Big Bathroom Shop and the tiles to match at Tile Mountain. It’s been a strange few weeks for running into famous people. I arrived in Atlantic City three days before The Killers gig, and – shockingly – so did Brandon. I ran into him four days in a row: which was nice, because I got to give him his birthday present in person, but not so nice, because I always get really nervous around Brandon, and – after accidentally bumping into him three times in 24 hours – I spent most of my vacation hiding behind slot machines, trying my hardest not to bump into him again. Then there was my X-Factor audition which involved Olly Murs, Simon Cowell, Cheryl Cole, Rita Ora, Nick Grimshaw, Rochelle Humes and Melvin Odoom. None of whom I’m even slightly interested in or care about. However, it also involved Caroline Flack, who I’d filmed with before, and who I adored, so that made the whole experience great. Simon Cowell’s mother died on the weekend before filming, meaning my audition got postponed by 24 hours. The injoke became – not only did I break Dave Grohl’s leg, I also killed Simon Cowell’s mother to give myself more time to rehearse. Pretty sick, but I have to admit, I got a chuckle out of it. The gig was awesome: Mastercard laid on food and drink & made it an event to remember. I was an idiot for not listening to the new Kaiser Chiefs’ stuff sooner: it has the early 2000s synth vibe I love. The highlight had to be when, from out of nowhere, they suddenly bust out Pinball Wizard . Ricky’s even more agile than the last time I saw them, which was probably 7 years ago. Peanut still likes to clap. I still like to clap. It was all good. Thinking about it: I probably should have gone for The Voice instead of X-Factor. I could have bribed one of the judges beforehand, and maybe I’d have stood a chance! The British Cheese Board are running a campaign to promote the use of cheese in your salad this summertime – and as cheese is one of my truest loves, I decided to heed their advice! I’ve never been much of a cook, although I’ve always loved experimenting in the kitchen. Over the course of the last few weeks I think I’ve perfected my ideal summer cheese salad using the remains of my Mac & Cheese from the night before! 2. Boil macaroni according to directions on the packet and drain into casserole dish. 3. Melt butter in a saucepan and stir in flour until thickened, then add milk and mustard, stirring constantly. 4. Stir in the Barber’s Cruncher Cheese until melted. 5. Pour mixture over the macaroni in casserole dish & stir well. 6. Bake in oven for 30 minutes and sprinkle the shaved Berkswell Cheese on top. This is a meal in itself! But I put the leftovers in the fridge and made my salad the next day. I added lettuce leaves, chunks of apple and celery, nuts, raisins, and a splash of lemon juice – then put in a few chunks more of the Barber’s Cruncher and shaved some more Berkswell on top to make the most delicious salad I’ve eaten in a long time, including restaurants! When I try to imagine my ideal bedroom, I think back to when I was a child. My room was my sanctuary, where I played with cuddly toys, and read books using a torch under my duvet after the lights went out. It was a bright and colourful place, a far cry from the beiges, chocolates and other neutrals that the hotel chains I frequent as an adult seem to favour. Dear Designer laid down the challenge to design my dream bedroom – the Laura Ashley Design Blogger Competition from Good to be Home powered by Anglian Home Improvments – and so, I started to dream. How could I create my four-walled utopia of warmth and light? First, I considered the furniture. 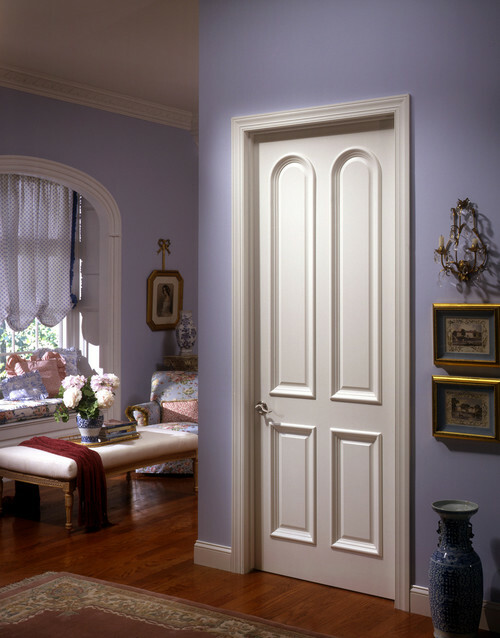 The elegant white door pictured above is a customised design from TruStile, and the Hannah Ceramic Door Knob is available from Laura Ashley. The bed, wardrobe, blanket box, drawers and desk shown below are also in bright vivid white, taken from the Laura Ashley Devon Range. I like to have a desk in my bedroom for writing letters and keeping my diary. Even as a grown-up I prefer a hard-backed school-style chair when I’m writing, so the Devon Desk & Chair Set (RRP £700, currently on sale for £392) would be ideal. Follow Sarah Eaglesfield’s Dream Bedroom board on Pinterest. These are complemented by a bookcase, dresser top and sidetable from the new cranberry-coloured Laura Ashley Dorset Range. The Capri Full Length mirror from their catalogue was an absolute must: my bedroom is also a place of Very Important Primping and Preening, and I need to be reminded how fabulous I look first thing in the morning! The basics covered, I set about finding some colourful pieces to decorate with. I chose three items from Laura Ashley: the mismatched Awning Stripe Cerise Curtains and Cranberry Stripe Wool Rug to bring brightness into the room, whilst the Farleigh Amethyst Floral Wallpaper is unusual and eye-catching, without being overwhelming. The Kimono Figurina Blush Lamp from Spirit Boutique provides a perfect match for the cranberry-coloured decor. The cushions and bedding, designed by Clarissa Hulse, added the quirk and the vibrancy I was aiming for. I also chose two pieces of art from artgallery.co.uk that I felt would add to the ambience of the room: Quality Street by Caroline Ashwood (£595), which continues the patchwork theme set by the bedding, and The Colourful Rainbow Tree by Casimira Mostyn (£75) – a beautiful, vivid piece that captures the magic I was hoping to convey. Finally I looked at bedroom accessories. The Honeysuckle Floral Range of accessories by Laura Ashley are functional and stylish: the laundry bag, hangers and scented hearts match well with the wardrobe. A selection of scented candles and perfume bottles would also add to the overall character of the room. The pink and black vase I chose isn’t available in any shops, but a unique vase with fresh flowers would be the finishing touch for my dream bedroom. The total cost if I were to buy everything new would be in the region of £5,000. That’s a lot of cash for something that’s a want and not a need: so for now it remains my “dream” bedroom. Luckily it’s a vision that can be built piece by piece – and Casimira’s painting will be mine by the time my next payday rolls around.